One thing that I have never quite figured out is the pricing on original comic art. 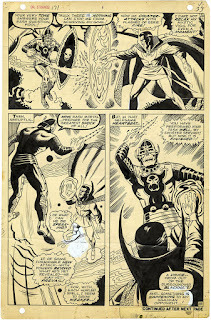 I mean, I get some of the generalities -- like why a Jack Kirby page is priced higher than a Mike Sekowsky page, or why a cover is priced higher than an interior page, or why a page with all of the Avengers on it is priced higher than a scene-setting page with no named characters of any importance -- but why is this specific page this specific price? Why is this Gil Kane-drawn Marvel Team-Up page worth $2,500? Is it really worth only five dollars more than this Tom Palmer drawn Dr. Strange page? And those are both within $100 of twenty-five pages of Superman: Speeding Bullets from Eduardo Barreto? 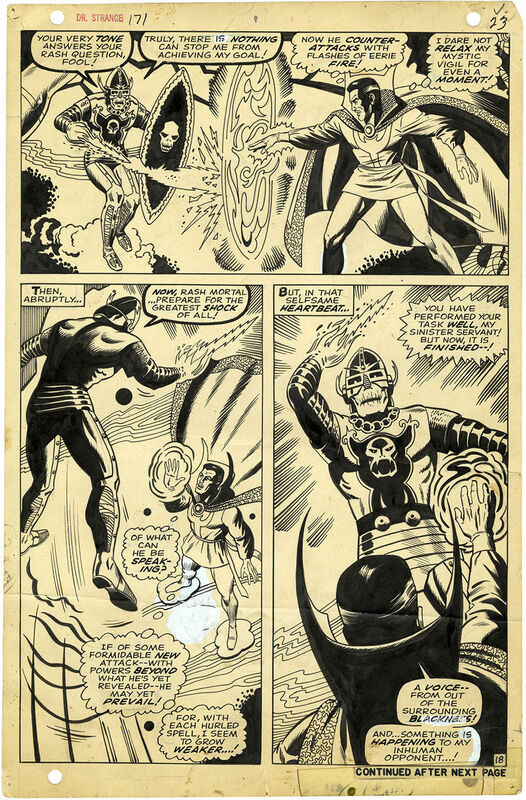 A John Byrne interior page from Fantastic Four #214 for almost $10,000?!? And that's the same price as a cover he did for Hawkman? And why does The Walking Dead #27 page 19 by Charlie Adlard cost even more? And the cover to Ghost Rider #16 by Mark Texeira is nearly three times that amount? There's an old adage that it's only worth that amount if someone is actually willing to pay for it. But that these sellers think these numbers are reasonably comparable is just something that I can't really wrap my head around.